• Pick-Ups: For Small moving jobs. • Cargo Vans: For small moving jobs. • 10 Foot Box Truck: For moving a studio apartment. • 14 Foot Box Truck: For moving apartments up to two bedrooms. • 17 Foot Box Truck: For moving houses up to two bedrooms. • 20 Foot Box Truck: For moving houses up to three bedrooms. • 24 Foot Box Truck: For moving houses up to three or four bedrooms. • 26 Foot Box Truck: For moving houses with four or more bedrooms. To find the perfect truck for you, you can search U-Haul’s website, or you can call them toll free and ask a service rep to help you figure our which moving truck will meet your needs. Additionally, UHaul now has the most coverage as far as self storage facilities go, in the entire United States. Most storage units provided by UHaul allow you access to your things on a 24/7 basis so no matter when you need to get to your stuff, you can do so with great ease. They even offer affordable insurance to you so your stuff is always protected no matter what. UHaul also has portable storage units which they call U-Box. All you have to do with a U-Box portable storage unit is decide on the size you want, have it delivered to your home, fill it up at your leisure, and then have UHaul come get it when it is full. It is then taken to one of their climate controlled storage unit facilities and can even be redelivered to you when you are ready for your stuff. UHaul not only makes it easy for you to take advantage of their moving and storage tools, but they will actually give you special discounts when you use both of the services together. 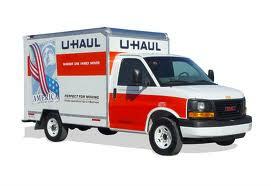 For example, UHaul will give you one free month of storage if you rent one-way equipment from them. That means even more bang for your buck. Moving and storing can be quite stressful, but thanks to companies like U-Haul, you can eliminate a lot of your stress and get the move or storing done a little smoother. If you need to move your stuff, store your stuff, or both, you may want to look into UHaul as they will likely have a solution that you will be able to use. Read more moving truck rental reviews. They lure you in with the “Covers damage or loss that occurs to your cargo” and “newest trucks” but their equipment is garbage and they know it. They’re kind of like an insurance company in that the devil is in the fine print. Take the time to read it and you’ll see that they don’t cover anything and they’re not liable for anything. Theyre just a sleazy company relying completely on their brand recognition to bring in customers. My case is that while unloading item damaged, insurance was denied …is all misleading to lure you in to buy the insurance. I know they have more locations than anyone else but TRY VERY HARD to go with another cmpany.